The Filmfestival takes place Friday 8th, Saturday 9th and Sunday 10th June 2012 presenting new movies by Michel Montecrossa and Mirakali. 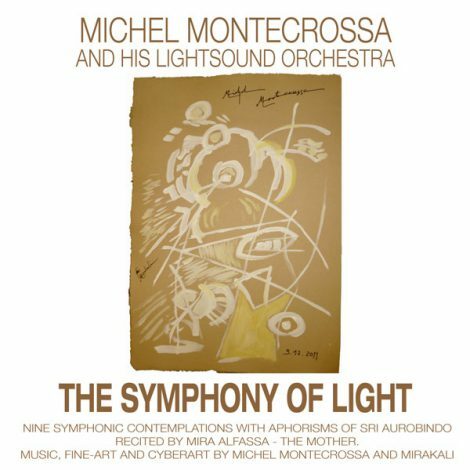 ‘The Symphony Of Light’ composed and performed by Michel Montecrossa and his Lightsound Orchestra, released by Mira Sound Germany on Audio-CD & DVD, is a Peace Meditation for contemplating light and wisdom in times of darkness and ignorance. ‘The Symphony Of Light’ comprises nine symphonic contemplations with aphorisms of Sri Aurobindo recited by Mira Alfassa – The Mother. The meditative art film version visualizes ‘The Symphony Of Light’ by featuring the video recording of the first live performance of ‘The Symphony Of Light’ on 24th December 2011 combined with the presentation of photos of Sri Aurobindo and Mira Alfassa – The Mother, made by Henrie Cartier-Bresson and Tara Jauhar. Additional fine-art and Cyberart images as well as consciousness expanding Cybermovie sequences by Michel Montecrossa and Mirakali make ‘The Symphony Of Light’ movie into a holistic masterpiece of art. 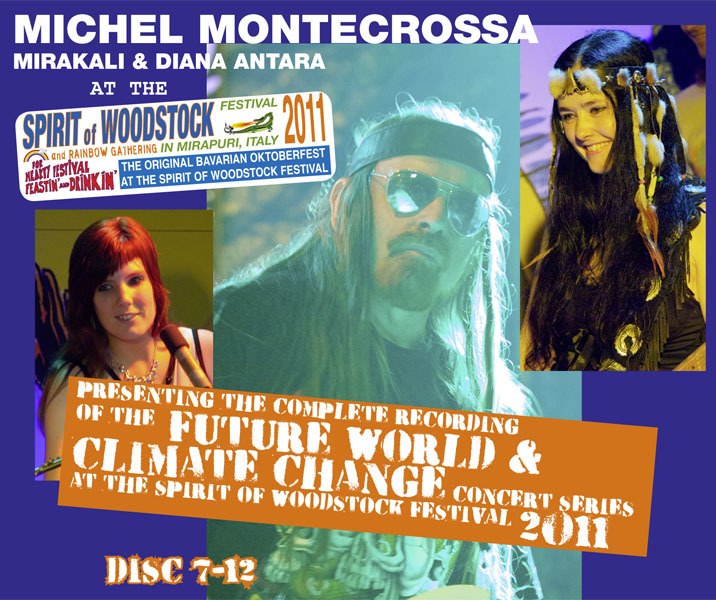 The ‘Future World & Climate Change’ concert series at the Spirit of Woodstock Festival 2011 in Mirapuri, Italy, released by Mira Sound Germany as two Boxes-Set with twelve Audio-CDs or DVDs featuring all 163 festival songs of Michel Montecrossa and his band ladies Mirakali and Diana Antara. The two Boxes-Set presents a stunning variety of original music ranging from acoustic and electric New Topical Songs to mind-blowing Cyberrock and Dancedrive with a good dose of Nu Romance. 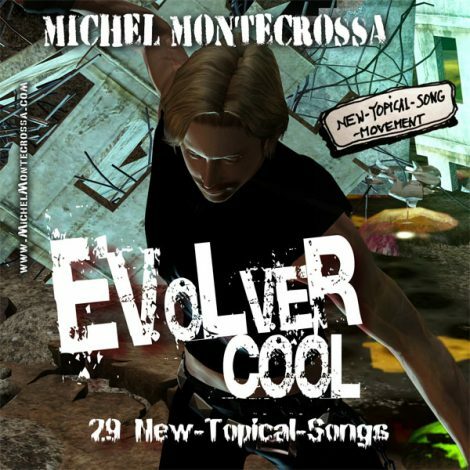 Included on Box One are stimulating and awareness enhancing burners like the acoustic title song ‘Future World Is The New Direction‘ and ‘Brutal And Proud Of It‘ as well as electric Cyberrock & Dancedrive by Michel Montecrossa, Mirakali and Diana Antara like ‘Eatin’ And Drinking Together With You‘, ‘Free Is The Sky‘, ‘Joy For All At The Festival‘, ‘Burnin’ Heart‘, ‘The Woman‘, ‘Never Too Late‘, ‘Honey For Honey‘, ‘Rising‘ and more Evolver-Style-New-Topical-Songs by Michel Montecrossa and Mirakali and Diana Antara like ‘Talkin’ Future World‘, ‘Welcome To Real Life‘, ‘Thrash Is Cash (Another Side Of Happiness)‘, ‘No Slump In Love‘, ‘Fortuna‘, ‘Voice Of The Heart‘, ‘Happiness Is Our World‘, ‘I’m Freedom‘, ‘Family Of Man Song (After The Revolution)‘, ‘My Heart Is Bleedin’ (The Christchurch Song)‘. 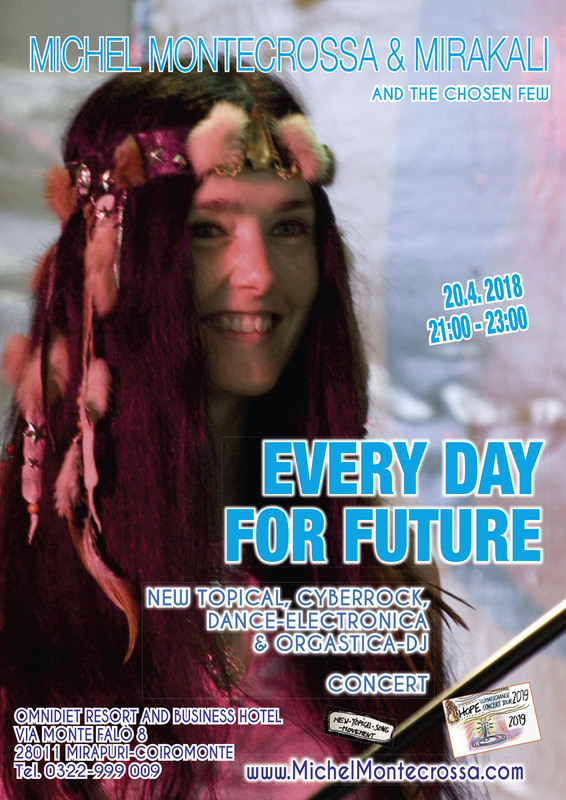 Included on Box Two are futuristic New-Topical-, Cyberrock & Dancedrive Songs by Michel Montecrossa, Mirakali and Diana Antara like ‘The Road Ahead‘, ‘Birth In A Cathedral‘, ‘Hidden Well‘, ‘Dreamflight‘, ‘Overdrive‘, ‘Cyberflash‘, ‘Let’s Be Vulgar‘, ‘Soul And Soul‘, ‘Angel Of My Kiss‘, ‘Fire Of The Morning Star‘, ‘My Song For The People‘, ‘Talking Lines Of Fire‘, ‘Determined & Undeterred (The Pro-Reform Song For Libya And All The Others)‘, ‘The Need Of The People‘, ‘All Is Not Enough (The Citizen & Statesman Song)‘, ‘Peaceful Light‘, ‘Breath Of Life‘, ‘Talkin’ End Game: It’s The Radioactive Song (Dedicated To The Fukushima Nuclear Plant)‘, ‘In The Street‘, ‘Talkin’ World Awakening‘, ‘Starflight‘. 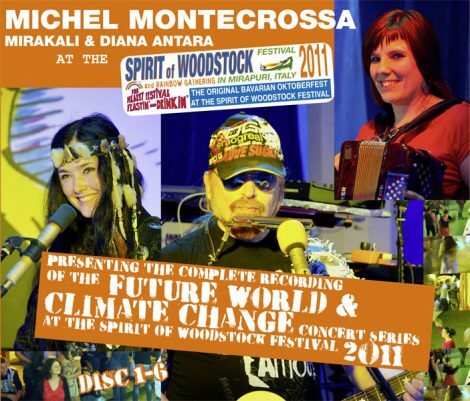 Michel Montecrossa’s ‘Future World & Climate Change’ concert series at the Spirit of Woodstock Festival 2011 in Mirapuri, Italy: 163 great festival songs of Michel Montecrossa and his band ladies Mirakali and Diana Antara released as two Boxes-Set with twelve Audio-CDs or DVDs. 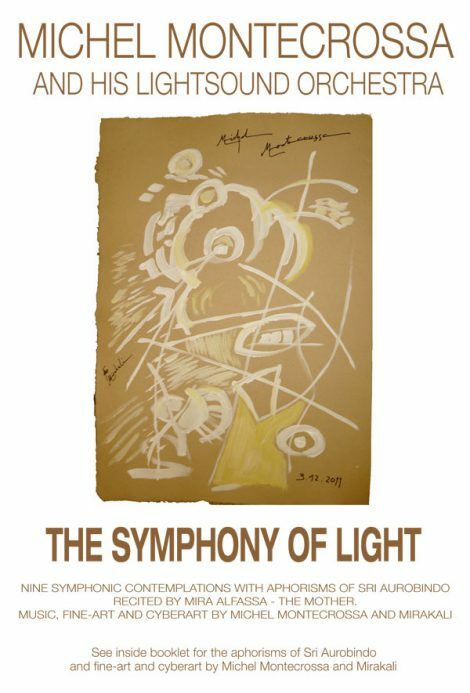 Michel Montecrossa’s meditation music movie ‘The Symphony of Light’ has its premiere on Saturday, 26th May 2012 as part of the Sunrevolution Festival for Music, Art, Science & Industry in Mirapuri. 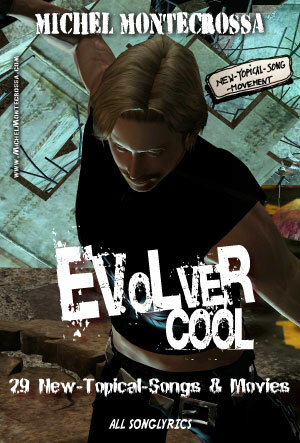 The Sunrevolution Festival is the annual presentation of the progress, products and services of Mirapuri – the City of Peace and Futureman in Europe, Italy in the domains of music, art, science & industry for an international audience and customers. Michel Montecrossa’s ‘Symphony of Light’ is a meditative Art Film visualizing nine symphonic music contemplations combined with aphorisms of Sri Aurobindo recited by Mira Alfassa. Music, fine-art and cyberart by Michel Montecrossa and Mirakali. 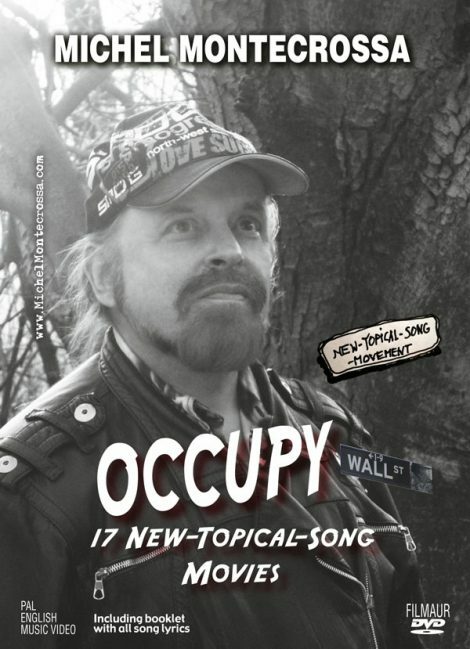 ‘Occupy Wall Street – 17 New-Topical-Songs & Movies’: released by Mira Sound Germany on Audio CD and DVD is Michel Montecrossa’s poignant song expression of the need, the anguish, the unrest and the hope of the people of the world. 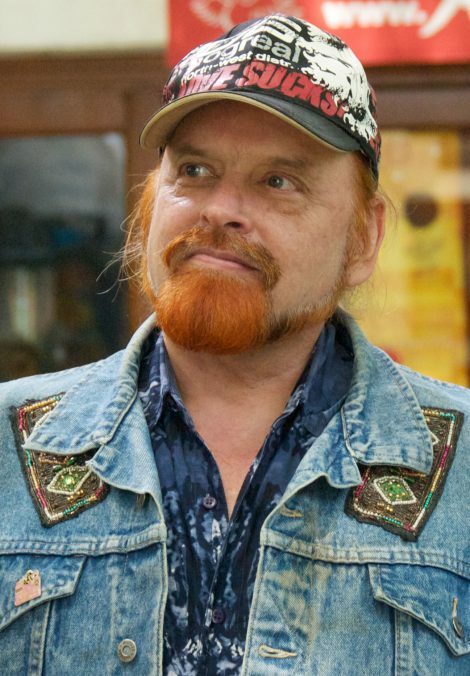 In his topical songs Michel Montecrossa not only confronts conflicts, controversial issues and grave problems but above all leads to solutions and hopeful answers. ‘Talking Occupy Wall Street Movement‘, ‘Talking Italy, Portugal, Spain Austerity‘, ‘Talkin’ Chile‘s Camila Vallejo‘, ‘Young Million Rap‘, ‘Talkin‘ Battle For Libya – Talkin‘ Battle For The World‘, ‘Talkin‘ Norway, Syria And More‘, ‘Talkin‘ Somalia Famine‘, ‘Nameless Glory Reloaded‘, ‘My Heart Is Bleedin‘ (The Christchurch Song)‘, ‘Talking Lines Of Fire‘, ‘In The Street‘, ‘Talkin‘ End Of Terror – Talkin‘ End Of Bin Laden‘, ‘Germany Is Green For The Future Of Europe‘, ‘American Crossroads‘, ‘China Means Future‘, ‘The United States Of Planet Earth‘, ‘Let‘s Go Future!‘.